Glow Burst requires a sharp mind and a quick touch. Tap or swipe through the glowing numbers as fast as you can from least to greatest. Each glow burst earns you points and extra time. Complete a round and get even more bonus time. It sounds simple but be warned that it's very addicting! 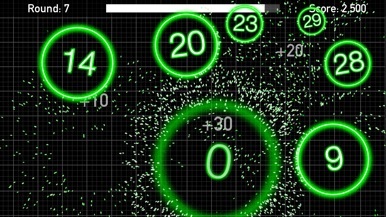 Glow Burst looks great on all iOS devices including the new iPhone 6 and 6+. 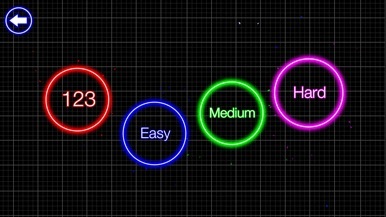 - 123, Easy, Medium, and Hard Levels. Perfect for kids and adults! - Full Retina resolution for iPhone 5, 6, 6+, and iPad Air. 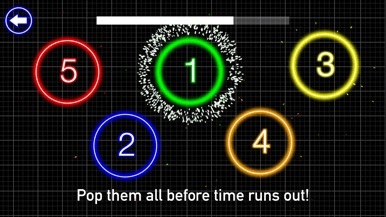 - Glowing graphics with cool animations and sound. Play this puzzle in order to move the red block to the exit. Move it! is an app that consists of 672 puzzles with 6 difficulty levels (Novice, Casual, Standard, Difficult, Advanced, Expert). The objective is to get the red block from the bottom corner to the exit by moving the other colored ones. What really stands out is that it uses pieces simila….